Why would you want to rank in Google Image search in the first place? Yeah, but is it worth the effort? Do people actually land on your site from Google Images? Now do the work. Take the time to optimize the existing images on your site. 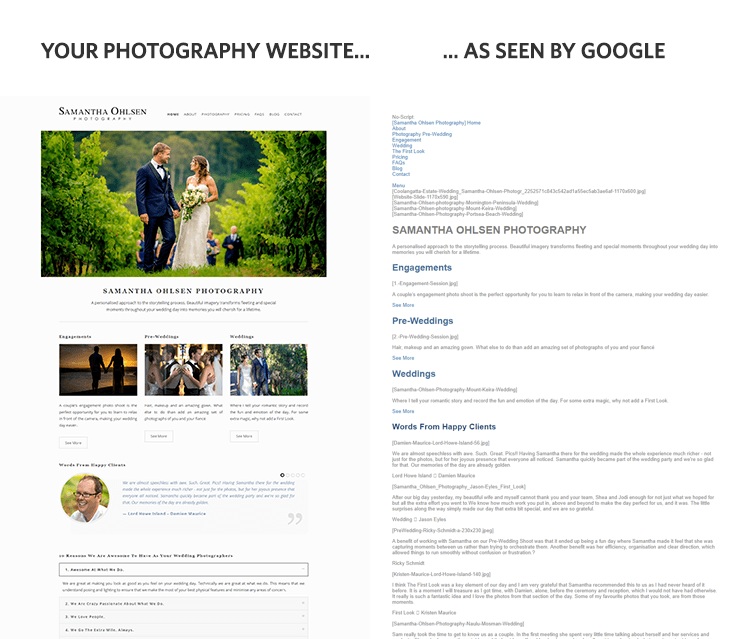 Images are everything for a photography website and, if optimized correctly, can show up high in Google Images and link back to your own site. That can be a considerable amount of traffic that you’d have ignored otherwise. 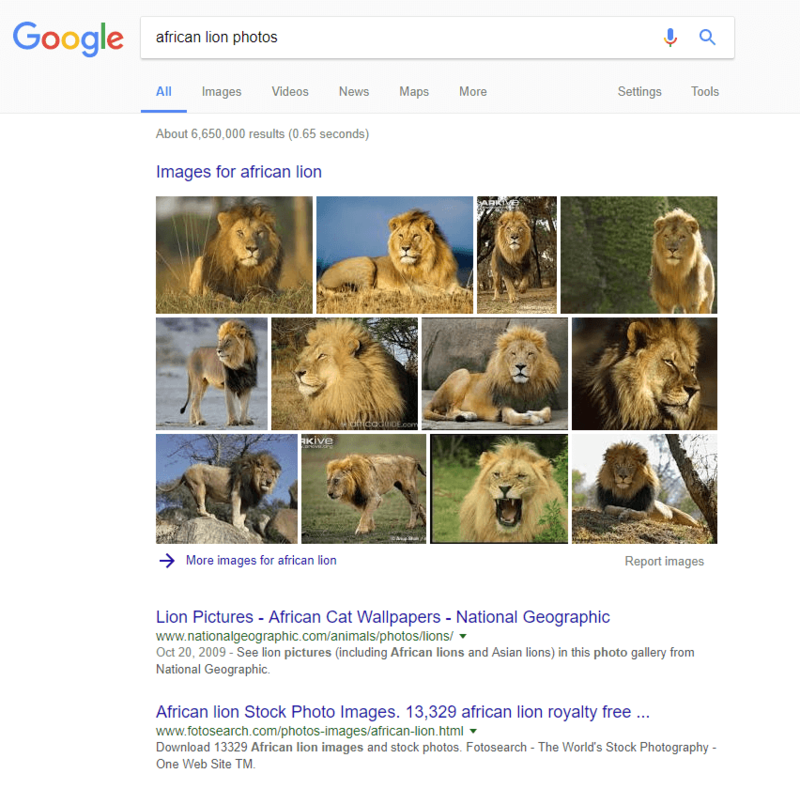 This guide will explore all the relevant SEO best-practices to help you rank high in Google Image search, as well as explain why it’s worth the effort. First of all, because a third of all Google searches are performed in Google Image Search (source). That is a huge opportunity, a large amount of traffic up for grabs. And it’s not just about ranking your images higher in Google Images. 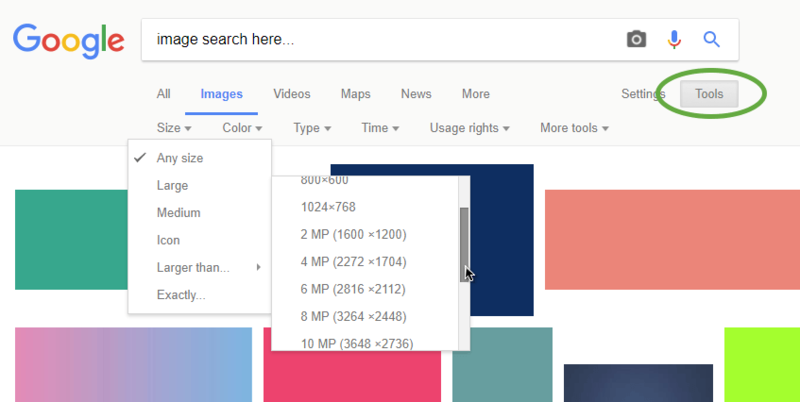 If you rank well in Google Images, your photos also show up in regular Google searches! That’s because Google also has special features (in their regular web search) when it detects you might want to see images (based on the search query). Clicking on the photos (or the “More images” button) leads to that specific image search page. These are just a few of Google’s SERP features. Apparently, 12.5% of all web searches on Google actually contain an image pack. That’s huge traffic! 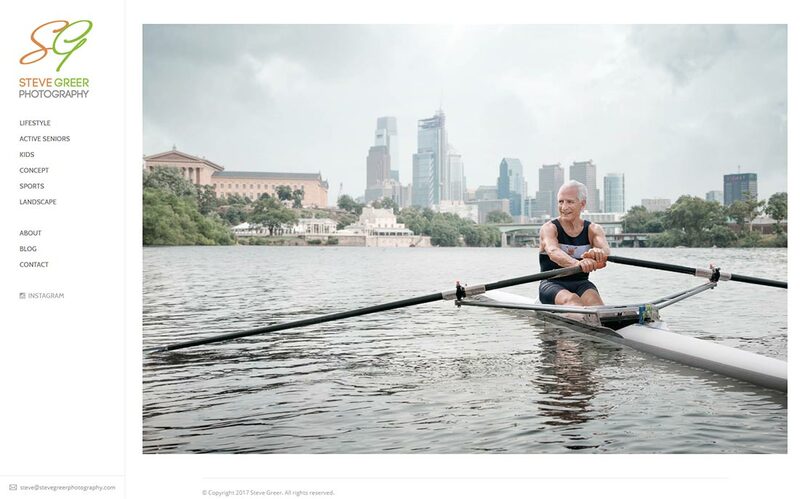 And that’s good news for photographers like yourself: that traffic is already primed to look for images. 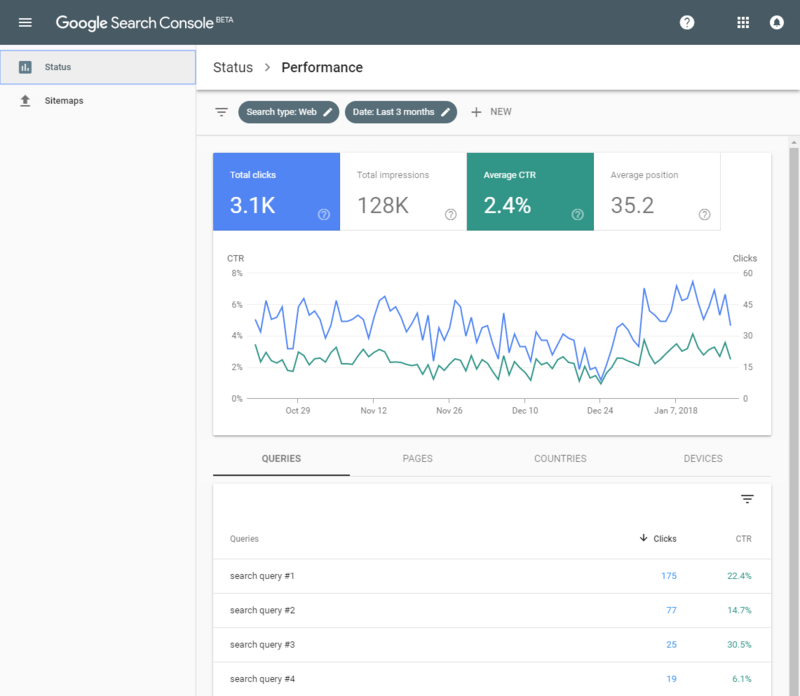 Let’s deconstruct this: the main concern is whether showing up in Google Image search results actually drives traffic to your site. It’s true that many people never actually visit the websites, they just do a bunch of search and access the images from there. And that’s not useful to you as a website owner, you get absolutely no data on that. In all of these cases, many people will indeed click to visit the website for the images they like in Google image search results. And most importantly, all these SEO actions will help you rank higher in Google web searches as well! They are not restricted to Google Images, they will help your site altogether. As you probably already know from my in-depth SEO guide, general web-search SEO can be broken down into “on-site” and “off-site”. With image search SEO, there’s more of a focus on “on-site” ranking elements, which is great news for you, because you can actually implement all these details on your site. Google cares more about relevancy (to the user’s image search query), and less on authority (and the number of back-links your site has). In plain terms: you can outrank popular sites (in Google image search) if you do your image SEO right. 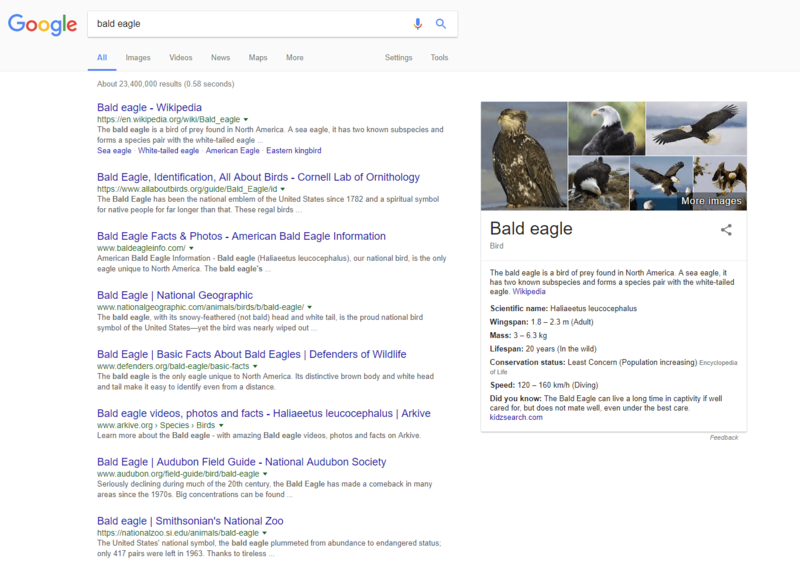 By the way: in Google Images there is not “first page”, it’s a endless page that automatically adds more image results as you scroll down (usually called “infinite scroll”). So your goal is to help your images rank as high as possible. Don’t forget that quality still matters. If you have poor images, you can’t really outrank other good images. Google still looks at image popularity, it tracks which thumbnails are more often clicked on in image search results. But generally speaking, engagement and off-site SEO are less-important signals for Google Images, the playing field is more level. Image filenames should be short (because all URLs should be short), so just stick to 2-4 words separated by hyphens (no underscores or other special characters!). How do you automate this process? And then you’ll want to replace all spaces with hyphens in filenames, using a tool like Name Mangler or Renamer (similar tools are available for Windows as well). Or, a more advanced solution for Lightroom is to use this “Search Replace Transfer” LR plugin, it’s incredibly powerful. 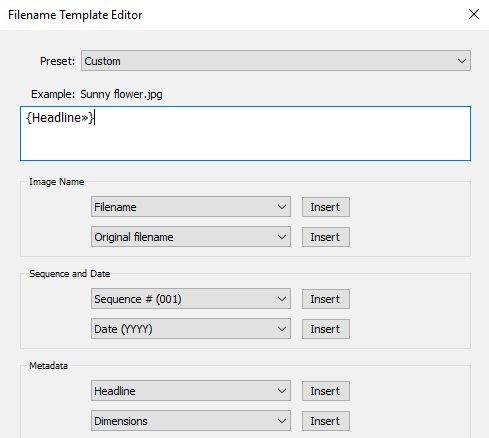 And the “Media File Renamer” plugin can help you speed things up inside WordPress as well. Originally used for the visually impaired (accessibility), ALT text is now also used by Google to interpret the contents of the image. ALT tags should be concise (<100 characters) explanations of the image. Use natural language again, not a comma-separate list of keywords. Simply think how you would describe the photo to a visually impaired person. Captions usually site right below the image (it can stay on the side as well, but it needs to be close to the image). Sometimes this can have more weight than the actual ALT tag. 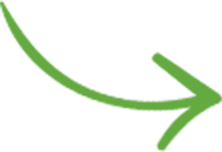 Don’t forget they are really helpful to human visitors: captions describe an image, they add context, making the image more meaningful for the user. Image SEO should just be a side-benefit of writing captions for humans. Speaking of stuff in proximity to the image, any text content that you have on the page is relevant to Google. Text right above or below the image provides useful context for your image. Each page on your site should have a H1 heading describing what the page is all about. For image pages, that heading can actually contain the image title (or info stored in the IPTC Heading tag), to further clarity the image contents to Google. 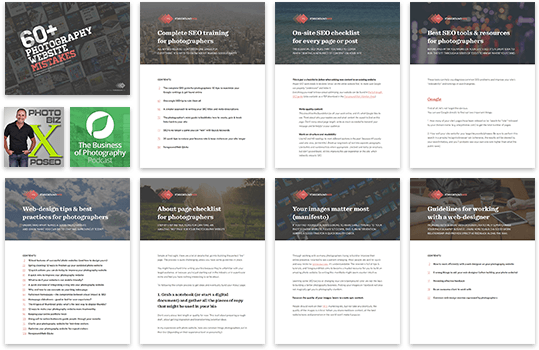 Google tends to prefer the common aspect ratios (3:2, 4:3, 16:9, square), both horizontal and vertical. Panoramas are said to be harder to rank for. Harder to optimize small images (<500px), Google doesn’t favor those of course. (There are exceptions). Of course Google wants to prioritize high-quality images, but not at the expense of user experience. So you need to make a compromise between aesthetics and performance. When you’re linking internally to some of your own images, be sure to use detailed and relevant link text. None of the words were changed, just what’s included in the actual link. Google will understand that the destination is about a “wedding reception” and not about… “here”. Most of these tips apply to individual image pages on your site. 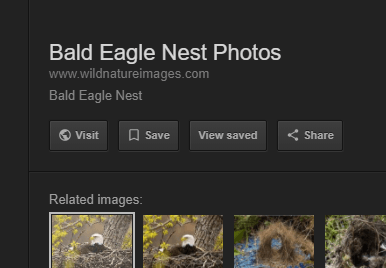 It’s hard to optimize an entire gallery/portfolio page, because it usually contains a ton of thumbnails with a lot of different pieces of info in there, so Google has a hard time determining relevancy. But on an individual image page, it’s a whole different story. You can use the same keywords in multiple places (filename, ALT tag, captions, page titles, etc.) to insistingly tell Google what the image is all about. It’s not yet clear if Google users image EXIF data in their algorythm. Here’s what Matt Cutts from Google had to say on the topic: Does Google use EXIF data from pictures as a ranking factor? So it’s possible that Google might incorporate more EXIF data in the future, allowing people to filter by camera models, focal lengths, etc., or for determining the original source of an image. Furthermore, if you have a GPS-enabled camera that store geo-coordinates in EXIF data (or if you manually geotagging your images later), that’s great; Google might use that info to identify image locations and provide even more relevant results to its users, though it’s unclear if they do read geo-data and how big of a factor this is at the moment. As far as Google is concerned, having duplicate content in search results hurts the user experience. Similarly, showing the same photo multiple times is similarly bad, and Google tried to avoid that. Working on this type of SEO requires an image-by-image process. If you’re automating it (by repeating the same captions and ALT tags), you’re doing it wrong. Each image deserves its own unique metadata, and Google will “appreciate” that. It’s partly the work of writing all the metadata, and partly the technical work of entering all that data into the site. 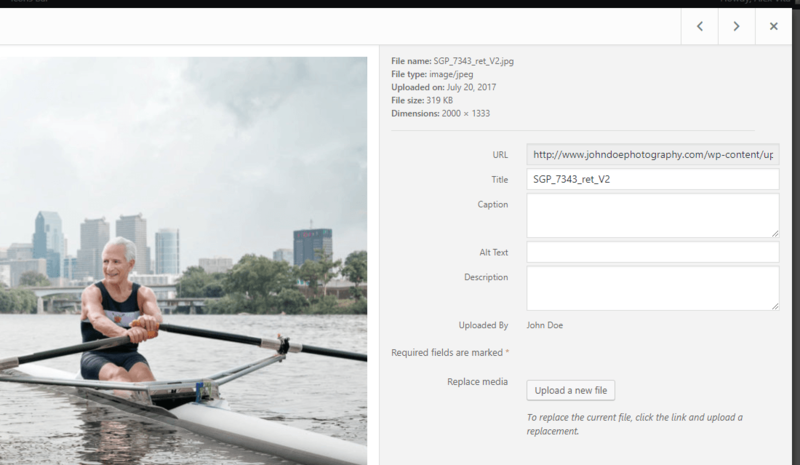 To update image filenames, use the Media File Renamer plugin. And don’t forget about file sizes. Even if you added great metadata, the image should not slow down the page too much (poor performance undermines any other SEO efforts). So if you need to replace and existing image (by uploading a new one it its place – with a lower file size, new pixel dimensions, etc. ), use the Enable Media Replace plugin. You can immediately see the stats for the 12 images from the “image mega-pack”. And you’ll generally get a sense of the traffic volume, which will help guide you what images to publish on your site next. 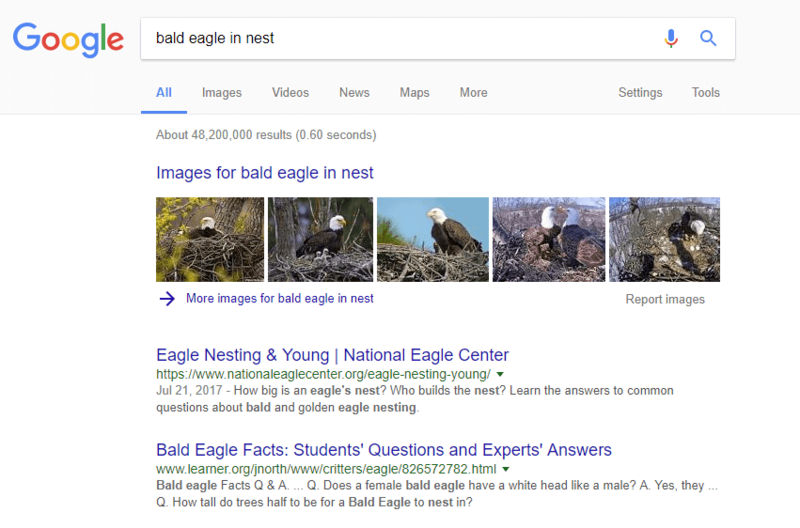 If you spend even more time doing this type of keyword research, you can even find out good photo opportunities: you’ll know what personal photo projects to focus on nest. 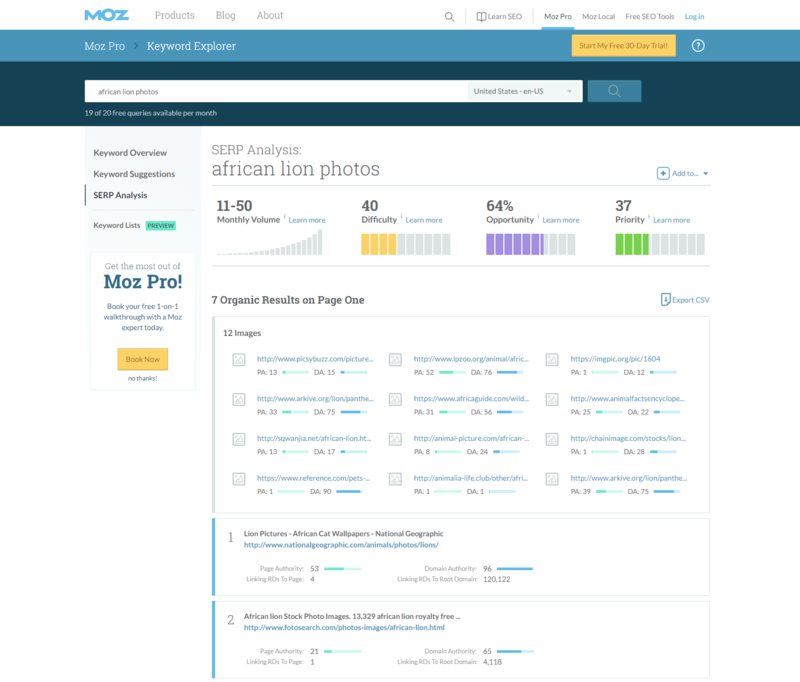 At the very least, do an “image SEO audit” of your existing site. Most importantly, see how you can improve your individual image pages, by including as many of the ranking signals I listed above. But if you’re already using the Yoast SEO plugin (which you should! ), you’re all good, it’s already including images in your sitemap. If you’re not using WordPress, there are tools out there that can crawl your site and generate the sitemap: Screaming Frog or DYNO Mapper. Head over to the Status > Performance report and then set the “Search Type” to be “Image”. 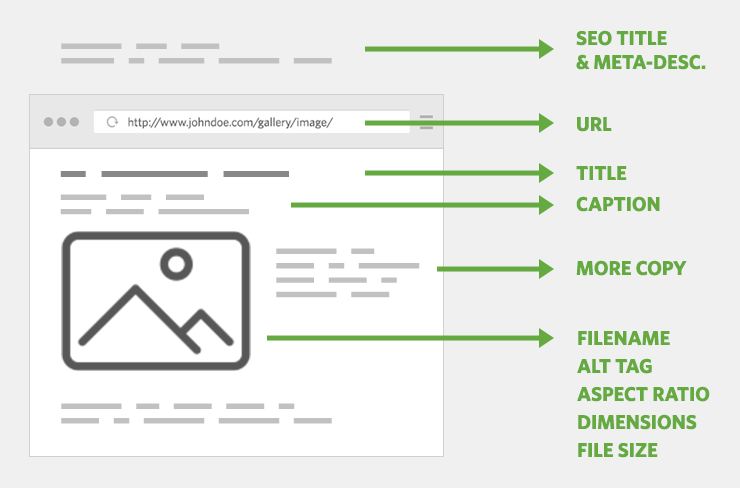 This has been a dense and detailed guide on image SEO. As with regular website SEO, it does take some work, for sure. But it’s a traffic source that’s often neglected by photographers. Make no mistake, image recognition is just around the corner. 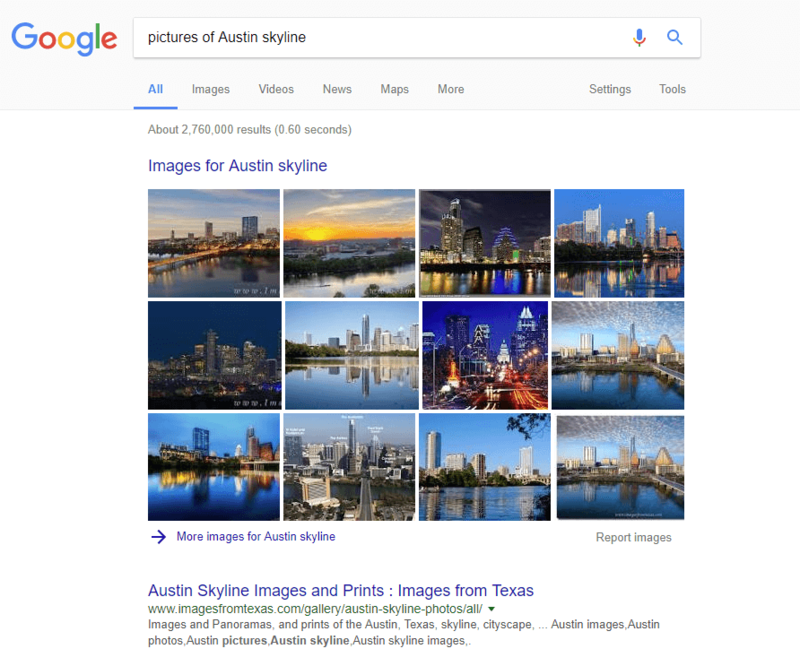 Google will soon start “understanding” images, and also using that to help rank images properly (if they haven’t already started doing that). 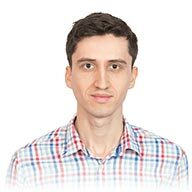 You can actually test Google’s Cloud Vision API, just trag an image to the “Try the API” section to see how well it detects objects and faces in images. Facebook is not far behind either, reports says it’s already creating image captions automatically. We can expect major breakthroughs in this field in the years to come. Until then, Google relies on you to make sense of your photos. If you do, it will reward you with more traffic. Please like to search for images, and your text content and image metadata can help them find yours. So don’t underestimate the power of Google Image search.